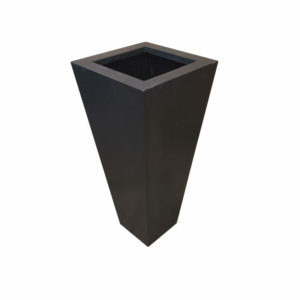 With the black flared/tapered planter we have a slightly more creative design than others in this range. 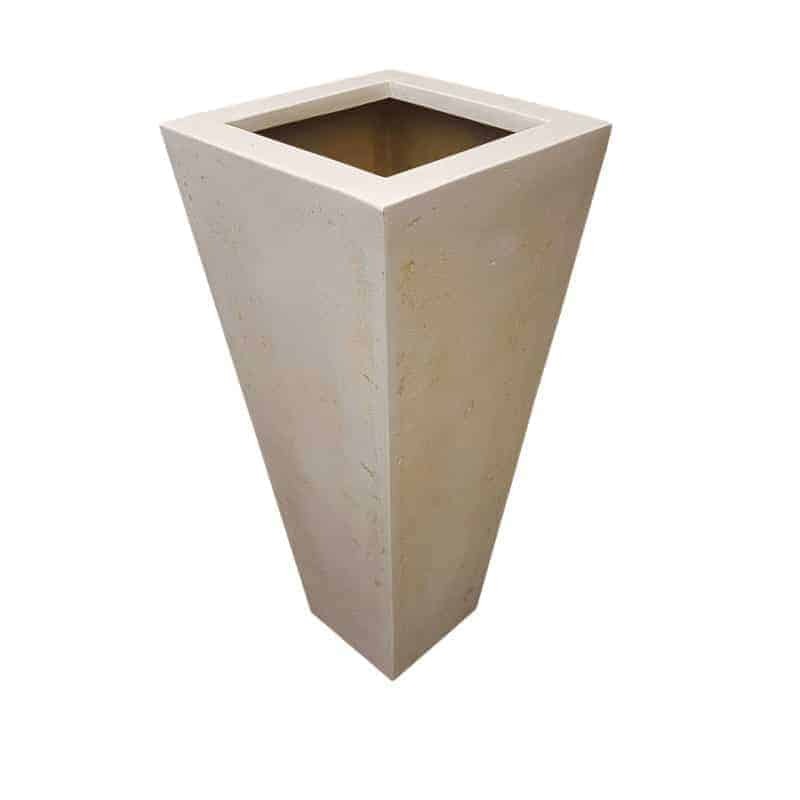 With this planter, we start to diverge from more contemporary shapes and although they will still fit comfortably with a natural garden design, they are perhaps better suited to providing aesthetic highlights or to complementing specific shapes in your outdoor space. For example, planted with Buxus/Box pyramids or cones – these planters would make diamond shaped columns that would be ideal for adding height or structure to your outdoor space. 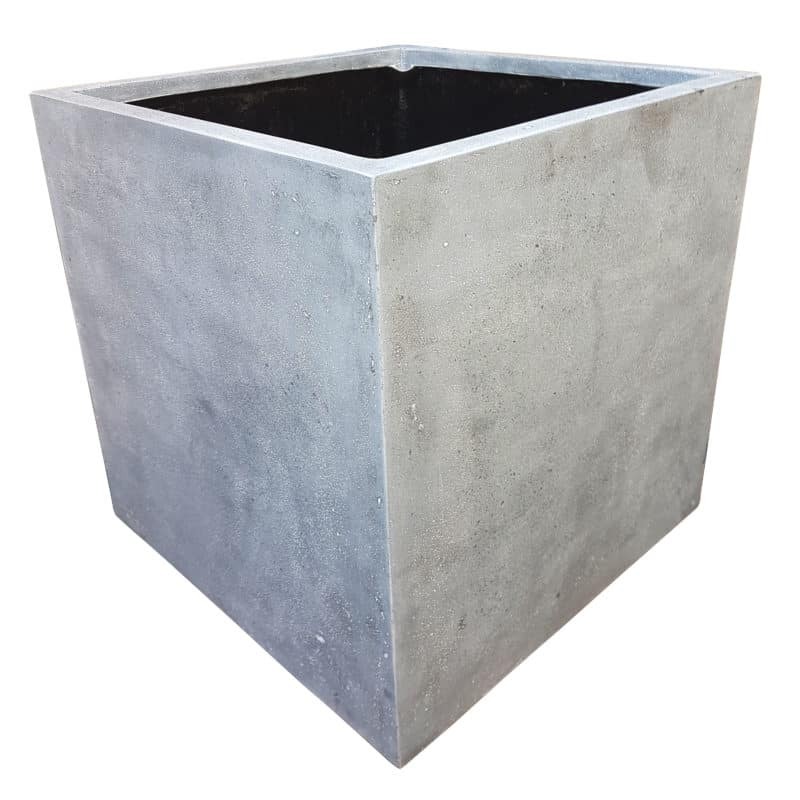 You can use these around the edge of smaller garden spaces to create the impression of greater depth, and in larger gardens you can use them to create permanent installations that serve to partition bigger empty spaces. 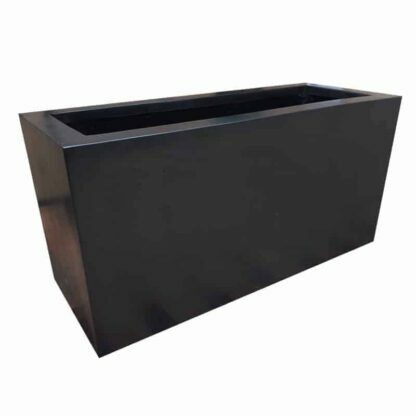 Alternatively, placed in rows of three or four, you can create stylish, contemporary raised beds that appear to float. Again, this is another application for this planter that creates height. Utilising both sizes could also be effective in creating a staggered effect. These planters are made from black polystone, which is a mixture of fibreglass resin and stone powder. They are not smooth, but textured like stone to ensure longevity. They are generally frost resistant, although they weather over time – however this will enhance the rough stone finish rather than detract from it, so they should age fairly well. These will fit better into contemporary garden designs than traditional ones because of their less conservative shape. With that said however, because of their neutral colour and unoffensive texture, they will blend fairly seamlessly with most garden designs. 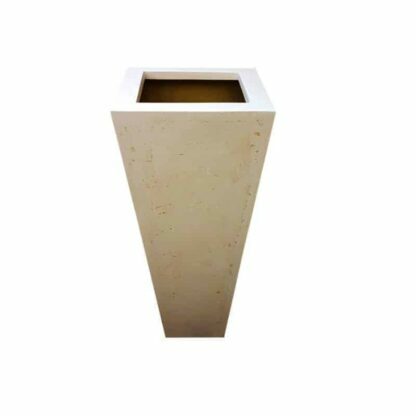 Because of their interesting shape, they are more suitable as centerpieces or design highlights. Although the obvious use is external, they could also be used internally. In this environment, rather than planting them up, they could be used to hold aesthetic foliage and decorative branches and lights. 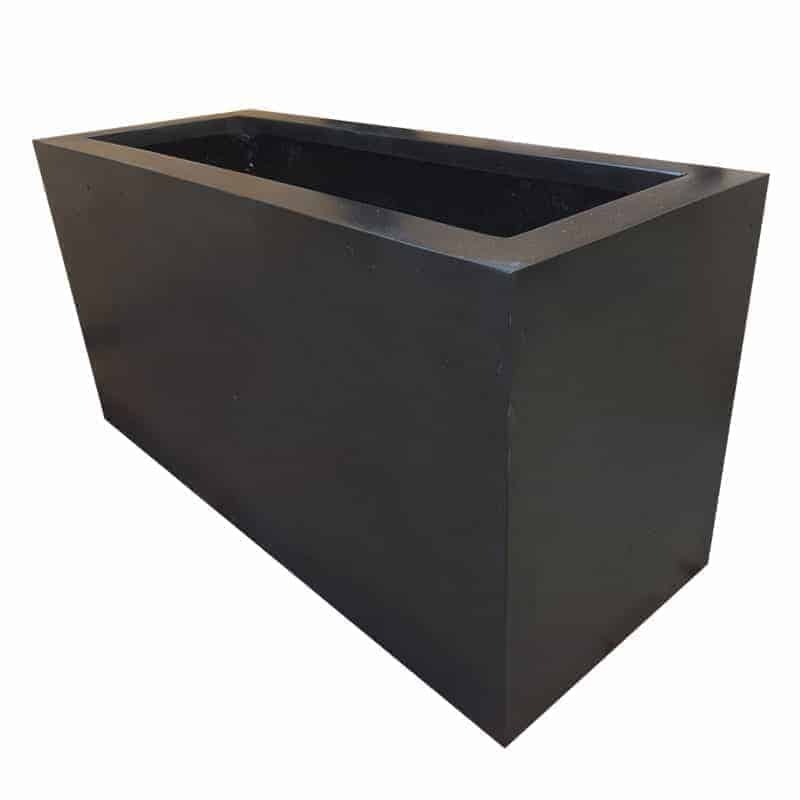 Last but not least, the most popular use for these planters is to have them flanking doorways, planted with either Buxus/Box balls, lollipops or spirals. 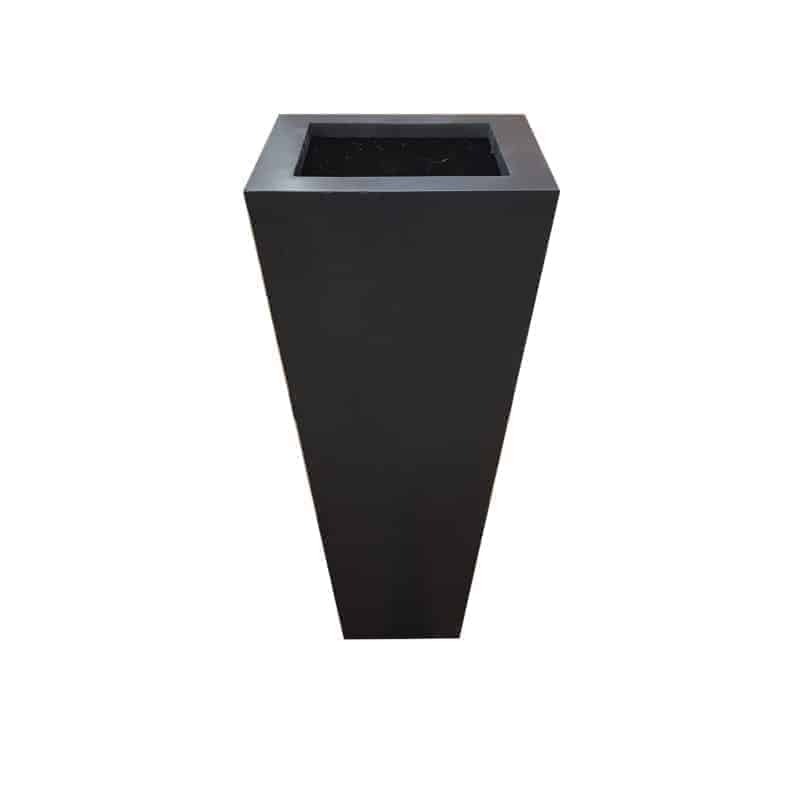 Because of the height to width ratio of these planters, they are well suited to this purpose.